This area was once known as the White's Grove Community. There was a White's Grove Methodist Church that later moved to McKinney. The cemetery was donated by Grafton Williams after the death of his first wife in 1848. It is deeded in Vol 9, p 572 and Vol 13, p 517. The deed in Vol 9, dated 1881, states that one acre had been sold to trustees of the cemetery earlier. 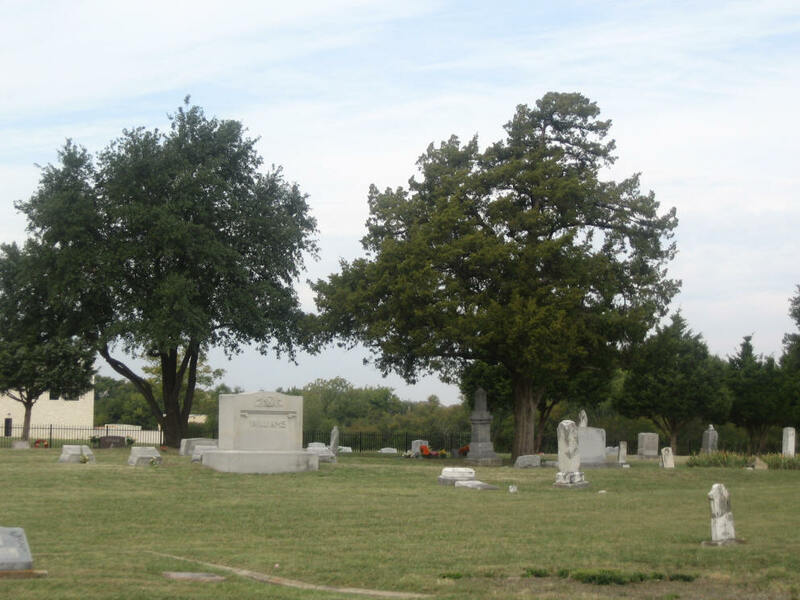 The deed also states that the cemetery is called the "Williams Cemetery." Grafton Williams also gave land for a church. Mt. Olive Baptist Church was adjacent to the cemetery and local people call the cemetery the Mt. Olive Cemetery. In fact, the cemetery association is the Mt. Olive Cemetery Association. Some people call it Mt. Olivet. The cemetery is good sized and well maintained. 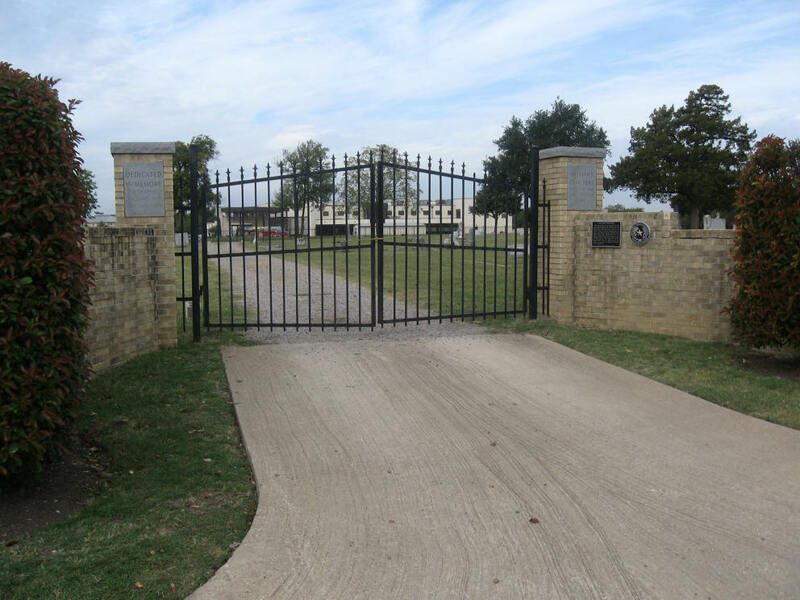 It has a 4-foot chain-link fence around it with several driveways and a single gate near the south end on the east side. The driveway in the middle on the east side has a brick pillar on each side. The pillars have tablets that say, "Dedicated in Memory of Grafton Williams and Samuel H. Payne", and "Williams Cemetery - Founded in 1848 - Incorporated - 1965." This is an active cemetery. It is in the Pheasant Run subdivision of Eldorado. The cemetery has suffered from vandalism in recent years. The same people who were vandalizing the McLarry and Horn Cemeteries were vandalizing the Williams Cemetery. Because of the vandalism, the drive-thru gates are kept locked. On some maps Hardin Blvd. is called Foncine Road or Mt. Olivet. The Eldorado subdivision is extending westward. Early in 1996 the land on the east side of Williams Road was being developed as The Reserve of Eldorado.